CAREER HIGHLIGHTS: After a decade at Ford, Cole joined Toyota in the UK in 1994. He was promoted to operations director in 2006 and two years later advanced to sales director. In 2009, Cole moved to Kia to lead its UK sales operations. Since 2012, Cole has been responsible for Kia's sales throughout Europe. 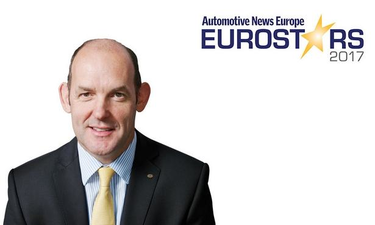 REASON FOR WINNING: Kia Europe's vehicle sales have grown rapidly since Cole took over the brand's regional operations four years ago to reach a volume of 435,316 in the EU and EFTA markets last year from 340,000 when he started. With new models such as the Stonic subcompact SUV and Stinger sports sedan, Kia is within reach of its 2018 target of annual European sales of 500,000.